The SELFFIT neck head hammock is the best effective alternative to bulky cervical traction equipment that uses the exact same method to stretch and decompress the muscles and joints throughout your neck and spine to help alleviate chronic pain and tensions and improve blood flow and oxygenation around the muscles. 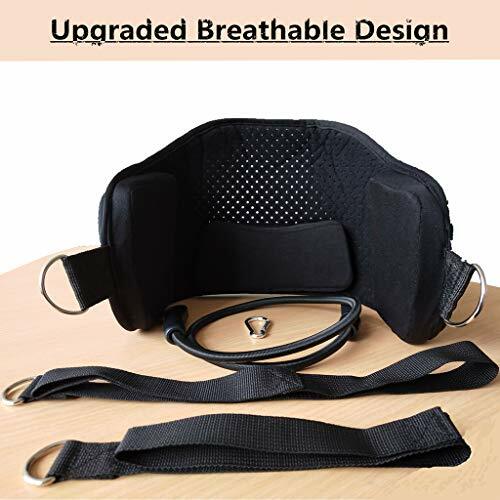 This innovative design of this hammock pillow was created by a physical therapist and doctor with a great vision that cervical traction provides the most relief to patients despite regular exercise of the neck and back can help extraordinarily. Our neck relief hammock is portable and easily fits in your backpack to take with you easily anywhere for on-the-go relief. It only takes 10 minutes a day to enjoy relaxation, improvement, mobility, and flexibility in the muscles of your neck, back, and shoulders. The medical grade straps are adjustable for customizable comfort and be wrapped around any door knob, door jamb, railing or pole. Use the SELFFIT hammock for neck after a long a day of work in your home or after a long business flight in your hotel room. We’re dedicated to customer satisfaction. If any one of those things isn’t helping you, let us know and we will work vigorously to make it right. What are you waiting for? Invest in your well-being by clicking ‘add to cart’ above and order yours today!